"The idea of freedom assumed a different form as Schiller advanced in his own development and became a different man. In his youth it was physical freedom that preoccupied him and found its way into his works; in later life it was spiritual freedom." 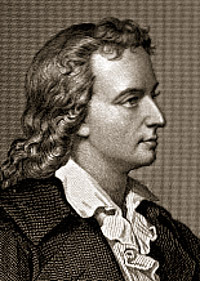 Johann Christopher Friedrich von Schillers major poetic and dramatic works  Die Räuber (1782), Don Carlos (1787), Wallenstein Stuart (1800) and Wilhelm Tell (1804)  all express a yearning for escape from tyranny. The first of his histories, The History of the Revolt of the Netherlands against the Spanish Government (1788), and a recommendation from Goethe, secured him a professorship at the University of Jena in 1789. Schiller followed his appointment with A History of the Thirty Years War (1791-3) and The Aesthetic Education of Man in a series of letters. Beethoven used Schillers poem "Ode to Joy," in his fourth movement of the Ninth Symphony. Tchaikovsky received a Silver Medal for his graduation cantata on Johann Schillers An die Freude in December 1865. 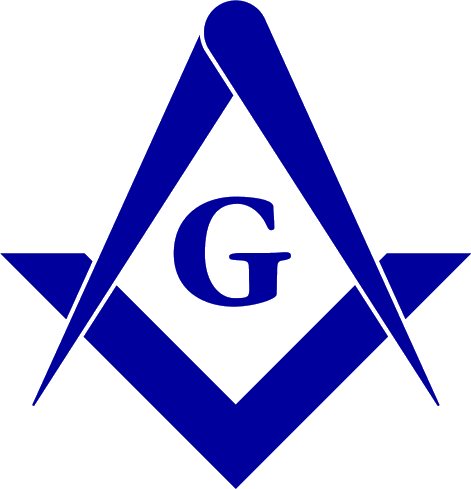 "His Masonic membership has not been definitely established, but German brethren believe he was a member of Rudolstadt Lodge of Berlin." Image: Duyckinick, Evert A. Portrait Gallery of Eminent Men and Women in Europe and America. New York: Johnson, Wilson & Company, 1873.